While the benefits of SEO are obvious to those of us in the know, a lot of people may still be suspicious about it. Many businesses are still lagging behind and reluctant to focus more of their marketing dollars towards SEO. However, ignoring SEO today is a surefire way to get overshadowed by your competition, who’ll eventually end up outperforming you while spending less money over time on costly advertising campaigns. In this article, we’re going to touch on some of the reasons many businesses still refuse to do SEO, and why they should embrace it. One of the issues with SEO is that it hasn’t always enjoyed a good reputation. The field of SEO is still largely unregulated, and the early days of SEO were full of fly by night “marketers”, scammers and spammers who had no squirms about using questionable techniques to rank websites. This led to SEO gaining a reputation as a black hat technique, and it still holds some of that stigma to this day. No company wants to be associated with controversial or unethical marketing techniques. Others might have preconceived ideas about how much money they need to start a successful SEO campaign and might be deterred from it. Others might assume that they’ll only start to see results after years of effort, which is another reason why they might be reluctant to use it as part of their marketing. Some business owners just don’t see why they should spend time working on their SEO and learning about different methods, so they never do. In many cases, small business owners in particular have to deal with too many broad and day-to-day strategic issues to delve into a completely foreign strategic approach. They also have this idea of SEO as this esoteric and complex science that takes years and years to master, even if it’s far from the case. And furthermore, those who would consider outsourcing the work still need to be able to understand the basics of SEO so they can monitor results and provide input. The volatility of the search engine sector only makes matters worse. Keeping track of recent algorithm changes and updates is already a challenge for skilled SEOs, let alone the average business owner on the street. And while some of these adjustments don’t affect all searches, they can still look intimidating to those just getting started. Lack of means is also one of the major reasons why many business owners still don’t use SEO. Small businesses in particular who are still in the development stage may find it hard to justify spending on a marketing method like SEO. Some fledgling companies might only have a few hundred dollars to spend per month on their whole advertising budget, while some cannot even afford to spend a penny. 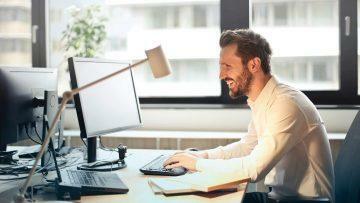 As a matter of fact, a recent study by the SBA found that a startling 39% of business owners asked weren’t paying a red cent per month in advertising. This is pretty much a catch 22 for many businesses who may realize the value of SEO and how it could increase their bottom line, but simply can’t afford it for the moment. For others, they may simply be getting so many good results from traditional marketing methods that they simply don’t see the need to go for SEO. Radio, print, TV and billboard advertising is still alive and well today and very relevant, though their ROI is steadily decreasing every year when compared with digital marketing methods. Many business owners may find comfort in the familiarity and predictability of these proven marketing methods and might be reluctant to try a method like SEO, which may seem less straightforward. This is especially true for older business owners as well. 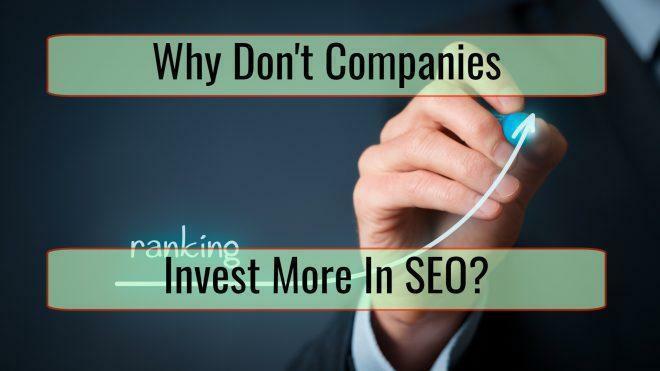 Why Should More Companies Invest in SEO? One of the main reasons why you should focus more on SEO is the sheer amount of organic search traffic you could get as a result. Organic search plays a huge role in a website’s performance, and is also essential for building an efficient sales funnel, which will then allow you to convert visitors into leads or buying clients. SEO is also essential if you want to establish your business as a brand, especially at the local level. Local searches are more important than ever, and not focusing on local SEO could eventually mean that your business could completely become invisible to the people who matter the most to you. This is even more important now that mobile is becoming the number one medium through which all searches are conducted. Mobile searches are highly location dependent in nature, and if you want to benefit from people looking for your business through mobiles, you’ll have no choice but to implement a solid SEO strategy. Unlike other marketing methods, SEO will continue paying off even if you don’t constantly invest into it. The results will compound for years to come, and a sound SEO strategy will continue paying, as long as you keep making the proper adjustments along the way, which makes it one of the most affordable marketing methods when it’s all set and done. Also, you won’t have to wait years to see any significant results. You could, and should, start seeing results within the first year of implementing your SEO plan. You can also easily monitor your results through a variety of analytic tools and see where you are making progress and where you need to improve. There is absolutely no excuse in this day and age not to have a SEO strategy in place. If you’re still on the fence, we strongly suggest that you speak with an expert right away and see all the benefits search engine optimization could have for your bottom line.